Bluelounge now released the Mini version to their CableBox called the CableBox Mini with is a downsized cable management and organizer. It's function is very simple, to organize your cable mess intro a vibrant colored box. 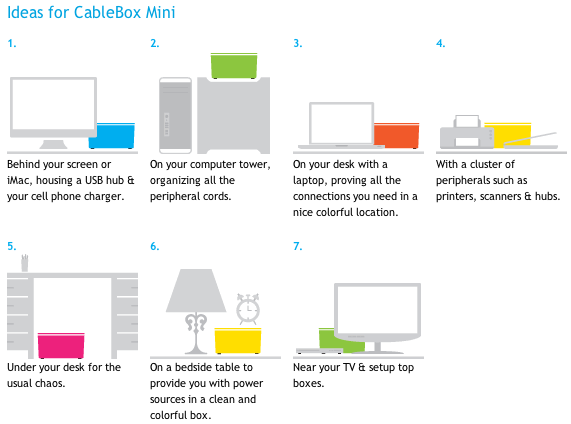 Below are some ideas you might want to take a look at to better understand how to go about using one of these CableBox Minis. 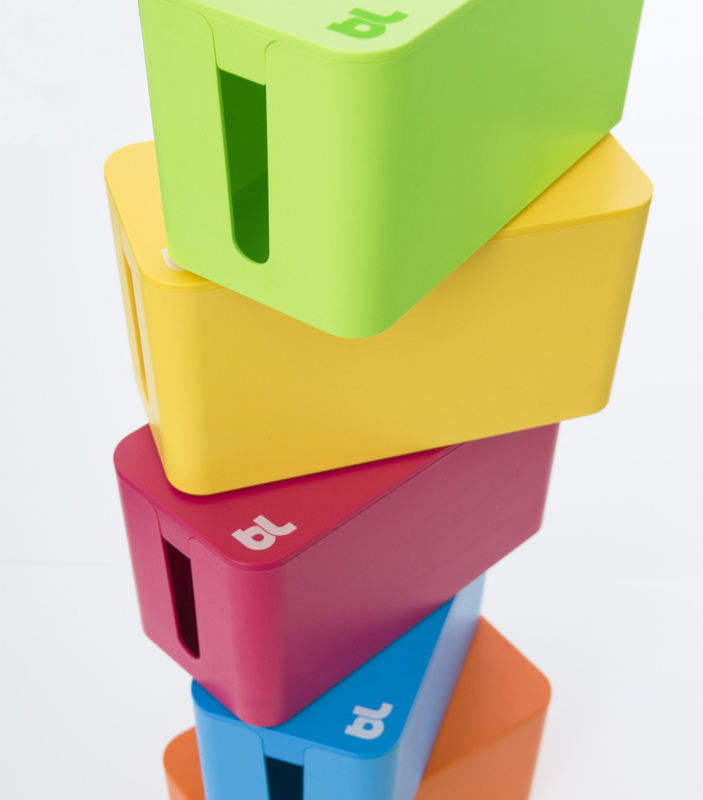 The CableBox Mini is available right now in six vibrant colors with a price tag of $29.95.